Two men walked the streets of Houston quizzing random passersby & giving out cash prizes. Their show went viral! Eventually these men traveled the country and were heard all over the world. That’s an impressive feat even by today’s standards but the “Man on the Street Interviews” by Vox Pop were recorded in 1932! They began the Quiz and Game Show craze that’s still going strong almost 90 years later. It’s logical to assume playing a game should be more fun than watching other people play…and from that assumption the TV Game Show Board Game was created! But since the home versions didn’t come with hosts, celebrities competitors, or cash prizes, most TV Game Show Board Games lost the appeal of their Television twins. So if you’ve ever wanted to be on any of these popular TV game shows I suggest skipping the official TV Game Show Board Game versions and trying these tabletop game alternatives with similar traits instead. Two teams of two try to convey a secret word to their teammate using just one word per turn. Everyone gets to hear the clue, so if you miss your clue the other team knows it and can use it to their advantage. The original show’s gimmick was pairing normal contestants with celebrity players to win cash prizes. I did just say TV Game Show Board Games rarely live up to the hype of their shows, but Password is an exception. Maybe the exception. However, at the time of this writing it’s out of print. So, if you don’t already have one of its many official versions, the “Quick Picks” travel version is a great option! In the meantime, here are a few games like Password to get you by while we wait for this phoenix to rise from the ashes. Don’t write this game off as just for Kids or Family game night just because it won Creative Child Magazine: GAME OF THE YEAR Award 2016. This game sold out last year and just came back into print. It’s surprisingly flexible for different occasions and earns its space on any game shelf. Double Ditto naturally adapts to the situation you’re in. It’s fun for all ages, gamers and “non-gamers”, grandparents and grandkids, co-workers and bosses and your gaming group that likes games with ‘After Dark’ expansions. In Double Ditto you have 15 seconds to write down two answers to a question. Match an answer with another player? You both score a point. Match both answers and score 3 points with your “Double Ditto”. Played casually or with kids, the silly answers and surprise of seeing who thinks the way you do are enjoyable. If your group is competitive then they will like it because Double Ditto has a surprising amount of strategy for a word game! Even if you have a brain twin…every time you score, they score. So you’ll have to mix up who you’re trying to match with in order to get ahead in points. When everyone is answering based on who they want to match with, things get interesting. 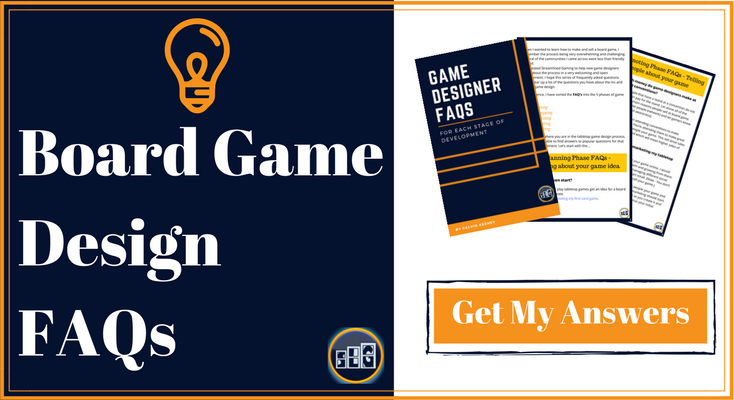 The base game has over 400 cards and though there aren’t any expansions yet, it’s a perfect candidate to customize for your board gaming group. In Codenames two teams give one-word clues in order to help their teammates guess the correct codenames of their teams “agents”. This game is fast paced and fun. Recently they’ve released a picture version and adults only expansion. This game is great for both gamers and ‘non-gamers’ alike. A few extra rules and board spaces allow for people to catch-up if they’re quick enough. It’s worth picking up the expansion. And the mini-game makes a great gift as well! With over 7000 Episodes aired, Jeopardy! might just be the “King of all Game Shows”. In order to play you need someone to take on the role of the host to read the questions, which is a lot less fun than actually playing a game. The host must also decide who knows the answer “first”. But most versions of the board game do not come with buzzers which make determining who’s first difficult and arbitrary. Despite these few minor problems, the Jeopardy! board game should be great fun for groups that enjoy the “King of all Game Shows”. Like Jeopardy, this game has the trivia and betting. Unlike Jeopardy, you don’t have to hit the books to win. Being good at trivia doesn’t hurt…but if you don’t know the answer you’re not out of the running. These are all valid strategies to get you across the finish line first in Wits and Wagers. You can teach this game in about 2 minutes and play a full game with 4-8 players in less than half an hour. Up to 20 can play if you divide up into teams. Teams can change the game a bit because partner(s) probably have different strengths and weaknesses. It’s still fun, but some consideration should be made for picking teams to balance out different skills. This tabletop game really reminds me of my favorite game growing up, the classic version of Balderdash! Except with trivia questions instead of word definitions. There are a couple versions of Balderdash, so I’ll make sure you get the right one. Classic Balderdash! had strange words with crazy definitions, but they were real words. I still love the classic version but I’ll be the first to admit not everyone is as into Etymology (the study of words) as I am. The updated version called Beyond Balderdash changed thing up. In the latest version, which is now just called Balderdash!, They replaced the Dates Category with “Laughable Laws”. I really love the others, but this is the best version of the game and has the most group appeal. The game is played by making up a definition to a word, history of a person, plot of a movie, what Initials stand for or a wacky law. If you’re playing seriously then writing in the style of a dictionary or encyclopedia is part of the strategy…but it really doesn’t stop the answers from being any less funny (which is good). Sometimes the truth sounds like a lie! Players take turns being the reader for the round. Everyone else chooses and writes out an answer then guesses which definition is correct. Points are earned by choosing the right answer or tricking others into choosing your definition. This can actually make it possible to score more points by tricking others with a wrong definition that is more believable than the truth than actually going for the right answer and the guaranteed points…if you’re willing to take the risk. That’s it! is nowhere near as deep as Jeopardy! Each card has 4 questions and a bonus question. The questions have more than one correct answer, but the person who says the word on the card first gets a point token with a hidden value. The bonus question is worth 2 tokens. When the card is finished, add up your token value and the winner takes the card as a point. Three points and you win, That’s it! This party game fits in well as a warm up or cool down on game night. Are people still arriving, making drinks? Is it too late to commit to another “quick game” of Star Trek Settlers of Catan? Perfect time for That’s It! The Mole was a popular Game Show where one contestant was a secret traitor working to sabotage the group. There were subtle clues left for others to discover who the mole was and whoever knew the least at the end of an episode was eliminated. While this show never got an official board game, that’s probably for the best because it doesn’t seem like it would translate well to a board game version. However, there are a lot of really fun board games that keep you guessing about your teammates! A collaborative game for 3 to 7 players with great replayability! 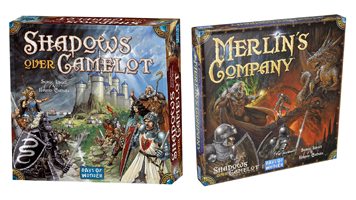 Shadows over Camelot captures the fantasy feel of being Knights of the Round Table. You have to work together to win…but there MIGHT be a traitor. Roles of traitor or loyal are dealt randomly; there’s an extra card so it is possible no one is the traitor…then again, the traitor could just be saying that! Consider the expansion which allows for the possibility of two Traitors and 8 players. There’s also a Card Game version which keeps the possible traitor aspect but strips the game down to the basics. It’s still really fun but much faster paced and more portable! Shootouts at High Noon, Waving Pitchforks and Political Finger Pointing might not sound like they go together, but all of these games have secret roles & bluffing. Each one has a slightly different flavor and tweaks the rules to fit it’s theme. Pick whichever theme appeals to you the most. 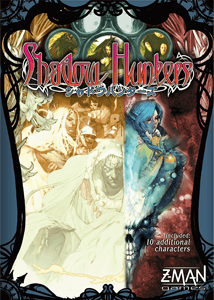 These games all have great replayability but if your group plays this style of game a lot then consider picking up all three to keep the things fresh. *Note – these are group games. Werewolf and Secret Hitler need at least 5 players. Each game works fine at it’s minimum but adding a few more people to the group is nice. This allows players more ways to bluff their way to victory. Coup is also a card game with secret roles but I kept it separate because unlike the other bluffing games, Coup works great even with 2 players! Best of all, it’s cheap! You can pick up the base game, the Reformation Expansion AND an alternate version where you play The Resistance for a third of the price of most new board games. In this 4 to 8 player game everyone has a partner, but you don’t know who they are and they don’t know who you are. So you don’t have to find your partner but it could help you get ahead. Then again since they don’t know who you are, it’s entirely possible to throw them under the bus and win individually too. Because other players could be friendly or neutral towards you or your goals, this often encourages people to be a little more cautious before directly making enemies and revealing themselves. In The Newlywed Game each couple forms a team facing off against the other teams to see who “knows each other best”. They do this by predicting how their partner will answer a question. The gimmick of the show was its storytelling elements and often embarrassing moments. Questions were frequently phrased to ‘hide’ their dirty undertone and draw out embarrassing answers. The popularity of the show has gone up and down over the years, but the TV Game Show Board Game version has had little success. And the fact it’s a lot more fun to watch strangers embarrass themselves on Television VS. embarrassing yourself in front of your friends. If you really feel like this is the game for your party, I recommend skipping The official Newlywed Game Board game. You’re better off grabbing memo pads and curating a list of questions appropriate for the occasion. Hot Seat is better than The Newlywed Game because you play with friends and get everyone involved. Play Hot Seat with 4-10+ players. It’s good at parties but particularly shines in groups of friends who know each other reasonably well. When you’re in the hot seat, you read a question to the group. You privately write your answer on a piece of paper (and so does everyone else…pretending to be you). The Hot Seat reads them out loud while everyone tries to guess the correct answer. Then points are tallied up. The base game recommends 17+. But the questions aren’t overly adult or sexual (unless your group goes in that direction!) and could be played with almost any group. The Expansion: Hot Seat Even More. And if you want to spice it up pick up the NSFW expansion. The nice thing about this game and even the NSFW expansion is it is less directly raunchy than most Adult Party games or NSFW games. It adjusts to how your group plays. A. 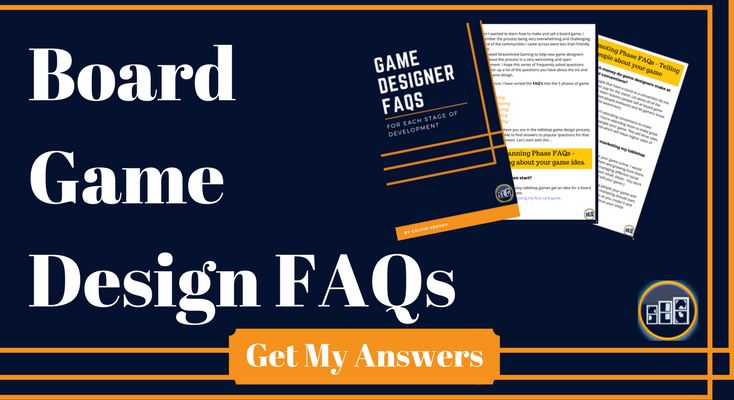 Version 1 – The classic Drinking Game in Card Game form. This party game can be played with 2 but is best with 6-10 people. The card game isn’t needed but it can move things along and brings up some questions you might not think of. This one brings a little more rules and variation to the the game (if you want them). Blue cards have the Questions and Red Cards have rules for the round to shake things up. What Board Game Reminds You of Your Favorite Tv Show? Let everyone know what board games you like that have similar mechanics to your favorite tv shows. You can tell us about your experiences in the comments section below. Thanks for the great post Ely! This was a fun read 🙂 I loved watching the Newlywed Game growing up but agree that I probably wouldn’t want to embarrass myself playing it with my gaming group.